Walmart announced something that can make your shopping easier. It is called Walmart Voice Order. It will be rolled out to more and more customers over the next few weeks. Beginning this month, customers can say, “Hey Google, talk to Walmart” and the Google Assistant will add items directly to their Walmart Grocery cart. Best of all, customers can be extra confident that Walmart can quickly and accurately identify the items they are asking for with the help of information from their prior purchases with Walmart. The more you use it, the better it will get. Let’s say that your family likes the Great Value (Walmart Brand) 1% milk. After you use Google Assistant to add items to your Walmart Grocery cart long enough, it will learn what you like to buy. After that, when you tell Google Assistant “add milk to my cart”, it will know that you want it to add a gallon of Great Value 1% milk. 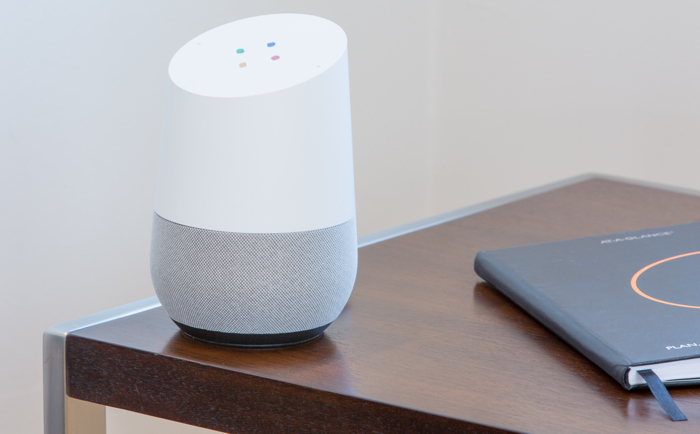 Google Assistant is available on more than a billion devices, including Smart Displays like Google Home Hub, Android phones, iPhones, watches and more. Customers can manage their shopping carts while they’re at home or on the go. Walmart has learned that when using voice technology, customers like to add items to their carts one at a time over a few days. They don’t complete their shopping list for the week all at once. The “Hey Google, talk to Walmart” skill is capable of allowing customers to add items to their Walmart Grocery cart a little at a time. Walmart is kicking off this service with Google Assistant, but is planning to add others to the mix as time goes on. If your family buys the same foods, from the same brands, every week – Google Assistant can help you save time while filling your Walmart Grocery cart. Use Your Applebee’s and IHOP Coupons Now! Two well-known restaurants are about to close in several locations. This means your local Applebee’s, or IHOP, may not be there for much longer. Both restaurants are owned by parent company DineEquity Inc., who may open more of those restaurants outside of the United States. USA Today reported that 105 to 135 Applebee’s restaurants will close. The original estimate was that 40 to 60 Applebee’s would close. In addition, 20 to 25 IHOP restaurants will close. The original estimate was that 18 IHOPs would close. DineEquity says that it is planning to open up 20 to 30 more Applebee’s, mostly outside of the United States. DineEquity also revised its plan and says it now plans to open 80 to 95 IHOP restaurants (mostly in the United States). Originally, the plan was to open 75 to 90 IHOP restaurants. There doesn’t seem to be any information that points out which individual Applebee’s or IHOP restaurants will close. There also isn’t any information about the locations where new ones will open. The Chicago Tribune reported that, worldwide, there are 1,968 Applebee’s locations and 1,752 IHOP restaurants. Now would be a good time to use whatever Applebee’s or IHOP coupons that you have. Check the website of the restaurant before you go. It’s a good way to find out what special offers they are currently running. Find out if the Applebee’s you want to visit is holding a “Happy Hour” that night, and if so, what time it will be held. All of these offers could save you some money on your order. The Chicago Tribune, in a second article about the closures, notes that Applebee’s is changing it’s menu. It is removing a turkey sandwich with siracha chile lime sauce and a pork-ham-bacon sandwich from the menu. Applebee’s will replace them with “old favorites” – but hasn’t given any further details about that. IHOP could be beefing up its online ordering capabilities. This could mean it will enable customers to place an order online first, and then drive out to the IHOP to pick it up. It probably doesn’t mean delivery from IHOP, but it’s hard to be certain about that. It is also possible that IHOP will open smaller restaurants than typical, in rural locations and also in pricey urban markets. Inmar Inc. applies technology and data science to improve outcomes for consumers and those who serve them. An analysis by Inmar shows how consumers use coupons. It also revealed what consumers who use coupons are expecting from grocery retailers. Consumers redeemed more than 1 billion coupons between January and July of 2017. Shoppers like to drift between retail channels for their grocery-item purchases. In other words, people are regularly shopping at more than one grocery store (and switching off between a few different stores.) This includes brick-and-mortar stores and websites. At the same time, shoppers are demanding more digital coupons than they have been receiving. In response, grocery retailers have increased the amount of digital coupons that they offer. Inmar suggests that retailers make an effort to ensure that relevant offers get to their target audiences through the channels that the shoppers prefer. A total of 72% of the coupons used in 2016 affected purchase behavior. For the most part, this means that shoppers that had a coupon for a specific product not only purchased the promoted product sooner, but also bought more of that product. 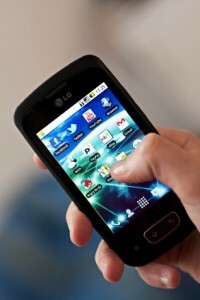 The analysis showed that 69% of shoppers are making shopping lists before they visit a store. In other words, they are going into the store with clear intentions about what they are going to buy. Among the shoppers who created lists before they shopped, 41% of them used coupons. Coupons that are found in Sunday newspapers accounted for 89.8% of all coupons distributed between January and July of 2017, and 34.2% of all coupons redeemed. Coupons are particularly effective incentives for getting shoppers to try new products. Research for the Shopper Promotion Impact Report found that 65% of shoppers say they would try a new product if they had a coupon, while 58% say they would switch from their normal brand if they had a coupon that makes another brand cheaper. Free-Stand Inserts (FSIs) dominated both distribution of coupons and redemption of coupons between January of 2017 and July of 2017. There are coupons for just about everything you can think of – including prescription medications. Pharmaceutical coupons (also called to as “drug coupons) are produced by companies that make medications. The company tells consumers that the coupon will lower the cost of the medication they need. But, that’s not exactly correct. There are two kinds of pharmaceutical coupons. One gives the consumer a discount on a specific brand name prescription drug. This type of coupon is distributed by the manufacturer of the medication. People who are uninsured cannot use these coupons. The other type is a copayment coupon. This coupon is distributed by a third party coupon vendor – not the person’s health insurance company. When the consumer uses that coupon at a pharmacy, he or she won’t have to pay their co-payment. At a glance, it sounds like both of those types of coupons will save you money. But, that’s not always true. For example, let’s say a person uses a drug coupon to buy his name brand prescription medication. The coupon will allow him to buy that drug for less money than it typically costs. 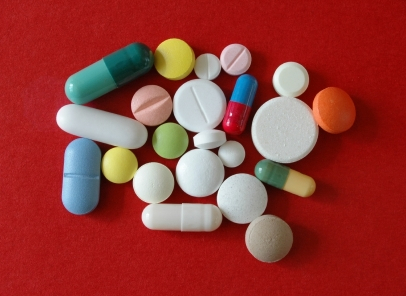 There are many brand name drugs that have generic versions. Usually, the generic version costs less than the name brand does. The drug coupon for the name brand might save you money on the name brand – but you might save more money if you purchase the generic version and skip the coupon. What happens if a consumer uses a coupon in place of their copayment? The consumer doesn’t have to pay their copayment. They save that money. But, that’s a short-term way of looking at it. In short, these types of coupons might save you a little money right now. But, you will end up spending more money on higher priced pharmaceuticals and health insurance premiums later on as a result. There is another thing to consider. Some states do not allow pharmaceutical companies to offer coupons for brand name drugs. California has a bill going through state congress that would prohibit these coupons. Market Watch says that federal health programs are barring those they insure from using these kinds of coupons. BOGO stands for “Buy One, Get One Free”. When a customer uses a BOGO coupon it means that they must purchase one item in order to get a second item for free. A woman in Maryland sued Burger King because their BOGO coupon allegedly wasn’t being rung up correctly. The Burger King Coupon says “Free Croissan’wich with the purchase of a Croissan’wich Sandwich.” The woman who sued used that coupon. She alleges that Burger King charged a higher price for the Croissan’wich sandwich that she had to pay for in order to get a second one for free. 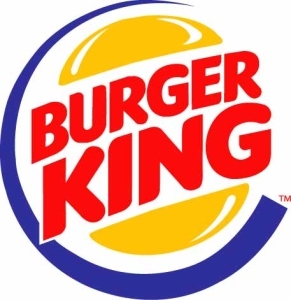 The woman’s lawyer argues that a consumer who used the Burger King coupon would have the expectation that “they will pay the same regular price for two identical Croissan’wiches as they would pay for a single Croissan’wich.” Wording in the lawsuit alleges that customers who used the Burger King coupon “unknowingly are forced to pay an inflated price for the first Croissan’wich they purchase in order to receive the second one for ‘free’”. It is unclear what the result of the lawsuit will be, or how long it will take to get through the court system. Burger King does not appear to have made any public statements regarding this lawsuit. What can consumers learn from this? It is a good idea to do the math when you use a BOGO coupon. Pretend you didn’t have a BOGO coupon and wanted to buy one item. What does that one item cost? When you use the BOGO coupon, pay attention to the amount of money you spent. If the math doesn’t add up, it is time to ask some questions. It is also a good idea to read the fine print on the BOGO coupon. Make sure the coupon has not expired. Check to see if the coupon has limitations on it. Can it only be used on certain days? Can you use it at any time, or only during a specific few hours of the day? Can the BOGO coupon be used if the item on the coupon is currently on sale? Find out of the BOGO coupon can be combined with other offers. Many of them cannot. For example, if Burger King had a special deal going on that allowed customers to buy a Crossan’wich for $1, that doesn’t mean that the price of the Crossan’wich for people who used the BOGO coupon would be $1. Those are two, separate, offers. People who absolutely love couponing might end up with a stockpile of coupons. This is great, because it means they have plenty of options to save money on their next grocery shopping trip. 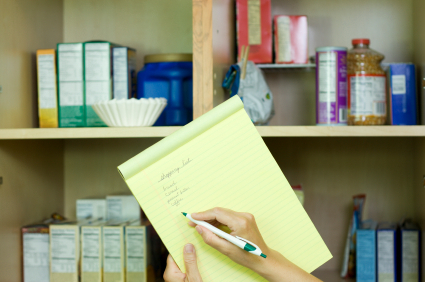 Some people use their couponing skills to create an at-home stockpile of food for their family. Both of those practices are legal – until and unless someone tries to sell their stockpile. The Coupon Information Center (CIC) is the consumer’s best friend when it comes to coupons and couponing. 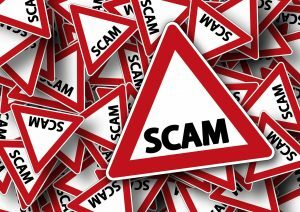 If you are unsure about how to use a coupon correctly, or what coupons are known to be fraudulent, the CIC can help you figure that out. Stockpiling coupons is legal if you do it right. It is legal to subscribe to your local newspaper in order to receive the coupons that come with it. It is legal to go to Coupons.com and print out the coupons you want to use. It is legal to use coupon apps with digital coupons. All of this is fine. Don’t steal other people’s newspapers and take their coupons. 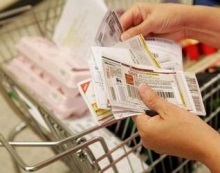 Coupon thieves can face felony charges. Purchasing extra coupons from your newspaper carrier is illegal. It is also illegal to photocopy coupons, and doing so means you could be charged with counterfeiting. Sometimes, extreme couponers decide to stop. They might reduce their coupons to a smaller amount to make them more manageable. Or, they might be burned out and ready to quit collecting coupons. 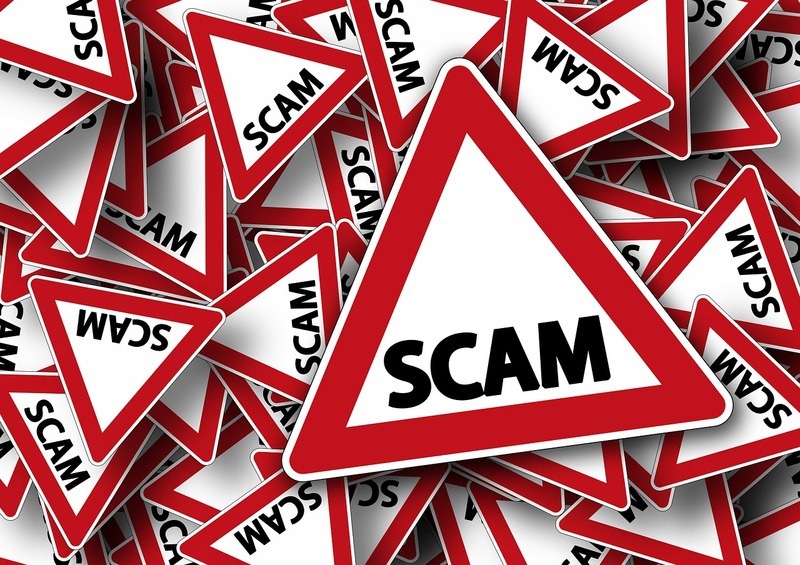 If this happens to you – DO NOT sell your stockpile of coupons. Selling coupons is illegal. Extreme couponers tend to fill a portion of their home (or garage) with a stockpile of food. They use that stockpile to feed their family. Some couponers stockpile other goods, such as razors, deodorants, toothbrushes, and toilet paper. All of this is perfectly legal. Keep in mind, though, that selling your stockpile of products that you were able to get at a discount by using coupons is illegal. It is ok to give some of your stockpile to your son or daughter who is living away from home and attending college. You can safely, and legally, donate your stockpile to a food bank. Call them first and ask what they need. What you cannot do is turn your basement or garage into a resale shop. The extreme couponing fad may be over for most people. It takes a lot of time, effort, and organizational skills. If you don’t love doing it – it starts to feel like work. Fortunately, there are ways to get the most out of your couponing without going to extremes. Extreme couponing became popular during the recession. People lost their jobs and suddenly had to find ways to keep their family fed on less income. This interest in extreme couponing led to television programs about extreme couponers (sometimes competing in contests). It gave people the impression that it was super easy to do, and some might have been disappointed to learn that extreme couponing requires a lot of work. You don’t have to be an extreme couponer in order to get the most from the coupons that you use. Try some of these tips. You find a good coupon for a product that you just don’t see yourself using – or enjoying. Or, the coupon is for a product from a brand your family does not prefer. Don’t use that coupon! Instead, choose coupons for things that you, and your family, will actually use. The coupon apps that connect to the store you shop at can save you both time and money. You won’t have to search the internet, and the newspapers, for coupons. The store has them all, right there, in the app. It takes seconds to select the coupons you want to use. These types of apps frequently offer special deals and coupons that are only found in the app. Get the loyalty card from your favorite grocery store. It doesn’t cost anything. Just like that, you have access to tons of deals all over the store. Those special discounts are only available to people who have the store’s loyalty card. The savings is automatically discounted at the register. You don’t have to spend any time hunting for coupons. Some of the grocery store loyalty cards allow you to add digital coupons to it. Before you shop, take a minute to check the store’s website and load your loyalty card with coupons for products you were planning on buying. Some brands have switched from offering coupons on their website, to anyone who visits it, to limiting their coupon offers to customers who have signed up for the brand’s email. Sign up, and you can end up with coupons periodically emailed directly to you from the brand. Print out the coupon before you go shopping. A serious couponer’s wildest dream might be to have tons of digital coupons sent to their email from their favorite grocery store. Imagine the savings if you could use all those coupons in one trip! This event actually happened to some customers of Wegmans. It wasn’t what they were expecting. 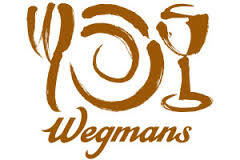 Wegmans Food Markets introduced digital coupons last year. The program was designed to be easy to use, to help people save money, and to give people a better shopping experience. The Wegmans digital coupon program did not require customers to have a smartphone. Customers could use their mobile device or their desktop computer to clip coupons digitally directly to their Shoppers Club account. Customers could browse coupons online. It appears that Wegmans sent out email to Shoppers Club account holders to alert them when new coupons were available. Recently, a glitch in the Wegmans’ system sent duplicate emails to Wegmans Shoppers Club members. It wasn’t just a few emails, either. Some customers found that their inboxes had been filled with email from Wegmans. One customer posted on Twitter that she got 13 duplicate emails from Wegmans. At first glance, this situation might sound like a couponer’s dream come true. Who doesn’t want lots and lots of easily accessible coupons? Unfortunately, the reality of what happened wasn’t quite what some people may have thought it would be. People wouldn’t actually be able to receive, and use, all those multiple digital coupons. The verified Twitter account of Wegmans Food Markets apologized for the mistake. Their tweet said: “We’re excited about digital coupons, but that’s not why we sent so many emails to some customers. It was a system glitch and we apologize.” It was nice of them to let customers know what happened and to explain why the customers may have gotten way too many emails from Wegmans in their inboxes. This strange situation is a good example of why couponers need to pay attention to things. If a coupon offer looks too good to be true, it probably is. Wegmans didn’t intend to send out so many emails about their digital coupons. It was an honest mistake. It is important to use critical thinking when you are emailed an offer about coupons. If something looks “off” – be wary. Don’t click on any links in emails that seem questionable. When in doubt, check the Twitter account of the store that sent the email. There could be some useful information there about what happened!